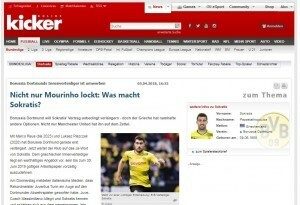 According to Italian and German media reports, Greek international defender Sokratis Papastathopoulos, who currently plays for German Bundesliga club Borussia Dortmund, is on the transfer list of Italian giants Juventus and Premier League club Manchester United. Reports say his current team is willing to extend his contract for many years in an effort to make him the club’s central figure and build the new squad around him. 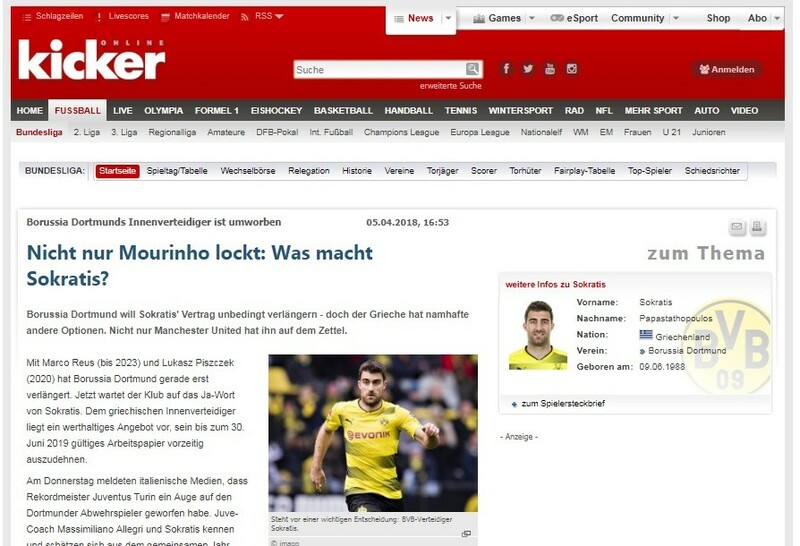 The online edition of German Kikcer.de, reported that Papastathopoulos is at the top of Jose Mourinho’s short list to move to Manchester. “If it was in his hand he would bring him to United today, not tomorrow”, the post wrote. The site adds that even though the Greek central defender would not be against continuing his career at Borussia, as long as the club demonstrated a willingness to build a competitive team.